2008 Hawai'i Tourism Authority "Keep It Hawai'i" Award for Restoration, Outreach and Education at Ka‘ūpūlehu Dryland Forest Preserve. 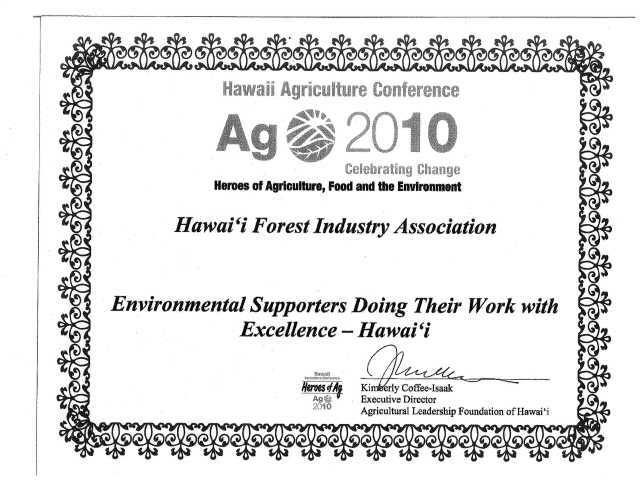 2010 Hawaii Agriculture Conference "Environmental Supporters Doing Their Work with Excellence-Hawai'i" Award. 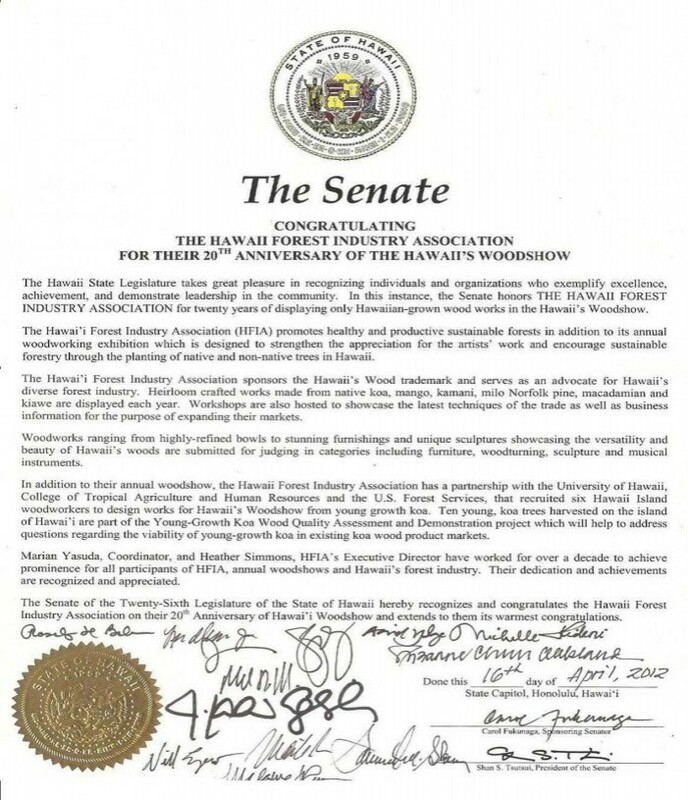 2012 Certificate in Honor of HFIA for 20 years of promoting Hawaiian-grown wood works in the Hawaii's Woodshow.